Not enough this week for distribution, but this is happening. 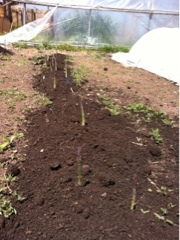 Asparagus shows beautiful tips and spears. Planted a few years ago it looks like they are truly established now!